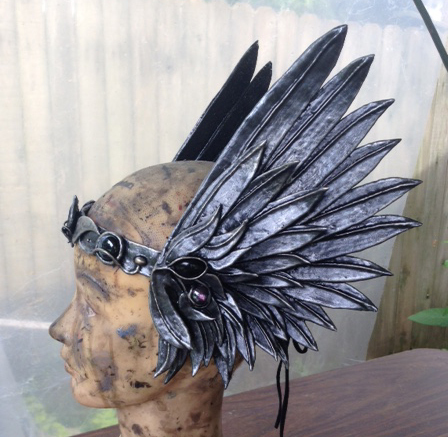 Paul has been working on these 3 winged headdresses for about a month. 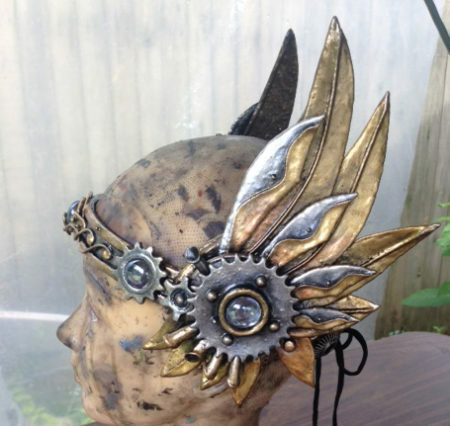 The man who commissioned them is one of those wonderful customers who says – “Make it something like this, but do it with your own style and magic!” The freedom to imagine and invent is what makes this business worthwhile. 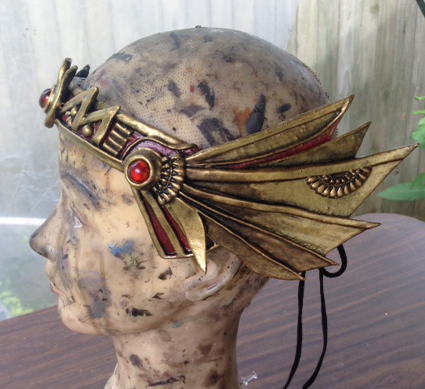 A gothic style, a steampunk style, an ancient Egyptian style is what he asked for. Which is your favorite?